New Nightmare marked Wes Craven’s return to the series he kick-started with A Nightmare on Elm Street. It is a thoroughly intelligent and provocative post-modern horror that eclipses the whole Elm Street series with its foreboding atmosphere and chilling implications. It not only entertains, but provides pointed commentary on horror cinema, the nature of fear, and the darker side of pop culture. While there is a lot of reflection on the workings of horror cinema, New Nightmare is still a highly effective horror film in its own right. Head over to Eye for Film to read my full review of the film and its special features. Freddy’s Dead was designed to bid farewell to one of contemporary horror cinema’s most iconic bogeymen, Freddy Krueger (Robert Englund). 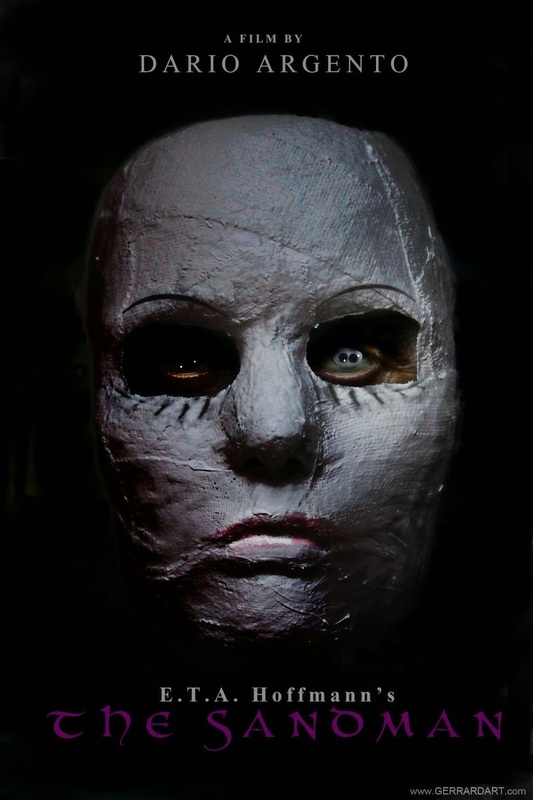 While it certainly aims for an epic feel – complete with cameo appearances from the likes of Johnny Depp, Rosanne Barr and Alice Cooper, and a climactic 3D showdown between Krueger and his estranged, and previously unmentioned daughter, that takes places within the mind of Krueger himself - it just can’t pull it off. Emerging as one of the weakest titles in the series, director Rachel Talalay’s attempts to give Freddy’s Dead a darker, grittier edge are lost beneath the clownish Freddy shenanigans and ridiculous death scenes. With its pint-sized menace, light comedic tone, buckets of splatter and irreverent humour, Bad Milo! echoes the work of Frank Henenlotter, as well as other miniature-monster titles such as It’s Alive, Critters, Sewage Baby, Ghoulies, and of course, Gremlins. What is most surprising is that it unfolds as a strangely touching and highly quirky comedy about relationships and the pressures of modern society. 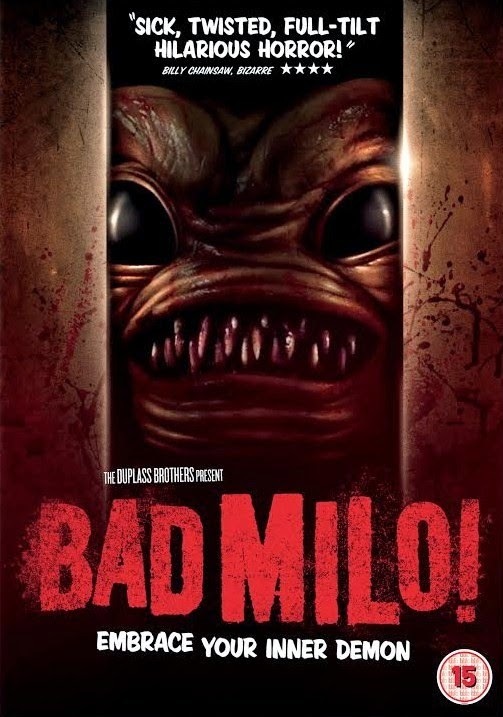 Head over to Exquisite Terror to read my full review and win a copy of Bad Milo! on DVD. The Dream Child marks a definite decline in the quality of the series, which is really saying something. An interesting and creepy central concept – the dream killer attempting to reach nemesis Alice through the dreams of her unborn child – is smothered beneath Freddy’s mouthy antics and the increasingly ridiculous death sequences. The uneven tone distracts from director Stephen Hopkins’ attempts to return the series to its dark roots, complete with an impressive Gothic atmosphere. The high/low-light comes when a comic book geek is sucked into one of his drawings (just like in the A-ha music video for Take On Me), turned to paper and shredded by Krueger. The A Nightmare on Elm Street series has just been released on beautiful Blu-ray, in a box-set crammed with all kinds of exclusive special features. In the run up to Halloween I’ll be revisiting all seven films and taking a look at the extra features. Directed by Renny (Cliffhanger) Harlin, this Elm Street instalment was firmly marketed at the MTV generation, with its rock-laden soundtrack, effects-heavy set pieces, comic-book tone and portrayal of Krueger as a wise-cracking anti-hero. Prior to Freddy vs Jason and the 2010 remake of the original film, this was the most commercially successful film in the series and its further dilution of central antagonist Freddy Krueger really helped move the Elm Street films into the mainstream; with Krueger attaining pop-icon status en route. The A Nightmare on Elm Street series has just been released on beautiful Blu-ray, in a box-set crammed with all manner of exclusive special features. In the run up to Halloween I’ll be revisiting all seven films and taking a look at the extra features. Next up is A Nightmare on Elm Street Part 3: Dream Warriors; not only one of the stronger entries in the series, but also a thrilling fantasy-horror in its own right. While the tone is much lighter than the previous instalments, thanks to the involvement of Wes Craven, it is not without its darker moments; that the main characters are the troubled teen-aged residents of a psychiatric hospital, and the predominant themes are mental illness, familial dysfunction and teenage suicide, is highly telling of Craven’s involvement. It’s not all doom and gloom though, as a comic book/super-hero feel prevails, and Krueger is firmly established as the wise-cracking anti-hero that would make him a pop-icon of the Eighties. The A Nightmare on Elm Street series has just been released on Blu-ray, in a box-set containing the first seven films and a plethora of exclusive special features. While I’ve delved into the Elm Street series before, it’s always good to revisit old favourites; especially when they’ve been released in shiny HD and in a box-set crammed with all sorts of geeky goodies. Over the next few weeks I’ll be revisiting all seven films and taking a look at the extra features accompanying them.